A poor monsoon is likely to keep food inflation high in the coming months and food prices are expected to rise even before as expectations of scanty rains become stronger, according to analysts. According to a research report by JP Morgan, food inflation is already in double-digits even before the monsoon impact. It adds that with the monsoon continuing to disappoint, all eyes will be on food inflation in the coming months, with food prices expected to rise even before the fact, as growing expectations of a weak monsoon gain ground. Rainfall deficit not to impact bourses much? The Indian stock markets have been plagued by worries of a weak monsoon, but a look at the historical performance of the Bombay Stock Exchange Sensex during the June-September may dispel fears. Consumer confidence in India declined for the first time in nine quarters due to a fall in employment sentiment and subdued spending behaviour, according to the latest edition of the Nielsen global consumer confidence index released in Mumbai on Tuesday. Galvanized into action by rising nonperforming assets in its agriculture advances in Punjab, Central Bank of India plans to soon start a loan recovery campaign in the state. NPAs have soared to 10% of farm credit. 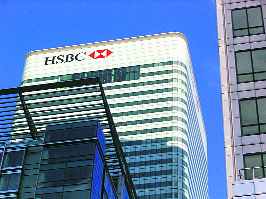 A "pervasively polluted" culture at HSBC Holdings Plc allowed the bank to act as financier to clients seeking to route shadowy funds from the world's most dangerous and secretive corners, including Mexico, Iran, the Cayman Islands, Saudi Arabia and Syria, according to a scathing US Senate report issued on Monday. While the big British bank's problems have been known for nearly a decade, the Senate probe detailed just how sweeping the problems have been, both at the bank and at the Office of the Comptroller of the Currency, a top US bank regulator which the report said failed to properly monitor HSBC. Axis Bank on Tuesday reported a 22.4 percent spurt in its net profit at Rs.1,153.5 crore during the quarter ended June 30, 2012 against Rs.942.35 crore in the like period of the previous financial year. Maruti Suzuki India signed an MoU on Tuesday with the Haryana State Board of Technical Education and the Haryana-IGNOU Society for Community Education & Training, under which a 3-year engineering diploma course will be offered to the company’s shop floor technicians as part of a special higher education scheme designed for them. A poor monsoon is likely to keep food inflation high in the coming months and food prices are expected to rise even before as expectations of scanty rains become stronger, according to analysts. According to a research report by JP Morgan, food inflation is already in double-digits even before the monsoon impact. It adds that with the monsoon continuing to disappoint, all eyes will be on food inflation in the coming months, with food prices expected to rise even before the fact, as growing expectations of a weak monsoon gain ground. According to a report by Bank of America Merrill Lynch, scanty rainfall can push inflation to 10%. It says there are increasing worries about the slow progress of the monsoon and a 5% swing in stagflation impacts inflation by 175 basis points. This will likely push up inflation to 10 per cent levels especially if the government also finally hikes diesel prices after Thursday's presidential polls, it adds. “Deficit rainfall should only buttress our call of the RBI pausing in second half of 2012. Although it can’t combat a weather shock, the RBI will surely want to ward off any criticism about being “soft” if poor rains fan inflation to 10%, especially if diesel prices are hiked as well. It is for this reason we think that the window for the RBI to support growth will narrow in coming months”, the report adds. On the possibility of a drought, the report says that the possibility is very high if it does not rain in the next few weeks. Although the Met has been forecasting normal rainfall in July (96% of long period average) and August (98% of LPA), the seasonal deficit remains uncomfortably high at more than 20% of normal. Just as importantly, other than the Ganges, most rivers have dried up below their usual levels, the report adds. Goldman Sachs is of the view that near-term upside risks to inflation still exist, led by a below normal monsoon. The monsoons have thus far been significantly below normal, which can have an adverse impact on food prices. Pending increases in diesel prices may also mean an upside risk to near-term fuel inflation. Edelweiss in a report says, going ahead, while demand-led inflation is expected to remain contained given that businesses are losing pricing power, weak monsoons point to risk of agri inflation. Deutsche Bank argues there has been little change in the relationship between rainfall and agriculture, although irrigation has advanced somewhat and monsoon dependent crops have become a smaller share of total agriculture production. “As agriculture has become a smaller part of GDP over time, we find evidence there is little, in any, spillover from a poor monsoon to GDP”, it says. The report adds: “We recognize the impact of a poor monsoon on rural welfare, but argue that many other factors drive growth and inflation. 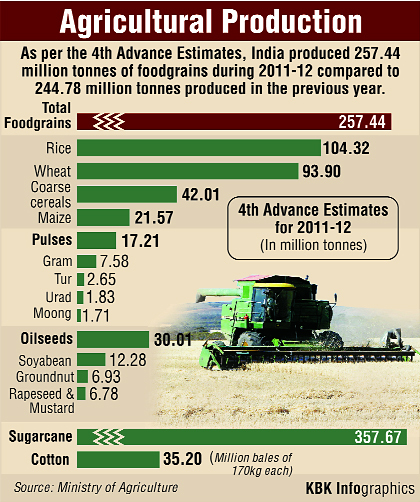 The monsoon matters for agriculture, but progressively less so for the overall economy”. Given the fact that, lower-than-expected rainfall can stoke worries about inflation and also hit rural consumption, stock investors are known to track the monsoon season. However, a closer look at the performance trend of the Sensex over the monsoon, shows very little actual impact of rainfall. To take the case of 2009, a year that the Indian economy suffered from drought, the Sensex gained as much as 17.1% during the June-September time period. Interestingly, the Sensex, has fallen only twice during periods of short monsoon rainfalls in the past 10 years. These two time-periods coincided with the global financial crisis of 2008 and the global bear markets phase of 2002. Echoing a similar sentiment, Apurva Shah, head of investment research at BNP Paribas AMC, said the monsoon has a greater impact on certain specific sectors rather than the broader market. 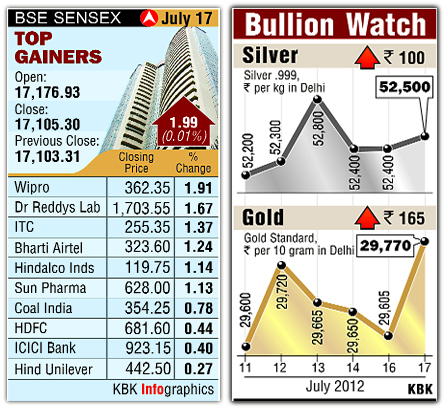 "The broader market is impacted by several other factors and the monsoon is just one of them. So, for the broader market, the monsoon is not that critical a factor, though it’ll obviously have an impact on the sectors which critically depend on agricultural growth," he said. Recommending investors to add risk to their portfolio, Deutsche Bank said Monday it remains “tactically bullish” on Indian shares. The investment bank upgraded Indian stocks to “buy” last month. It expects the current market rally to continue on hopes of policy reforms after presidential elections on Thursday, lower oil prices, and "attractive" valuations. "The drop from the top position for India after nine quarters indicates a growing anxiousness amongst consumers today in relation to the job prospects and spending habits," Nielsen India region president Piyush Mathur said while releasing the report. The country registered a decline of four points in the index to 119 from the first quarter of 2012. The country is at No 2 in the most-confident countries in the world. "The four points fall is fairly significant. Now we are going below 120 points. The sentiment is not where it used to be. Rising inflation and fuel prices, which are a direct hit on the wallet, combined with a comparatively low GDP and fall of the rupee have taken a toll on consumer confidence," Mathur said. Elaborating further, he said, "there is some correlation between GDP and consumer confidence. In the second quarter of 2011, our GDP growth started going below 7% mark. Over the past four quarters, we have been gradually sliding down. The confidence level slipped by 5 points to 126 in the second quarter of 2011. The sentiment seems to be bearish below the 7% GDP mark." According to the report, the average global confidence index has declined by 3 points to 91. The lowest point in last seven years since Nielsen started compiling the data was in the second quarter of 2009. "This 91 is like the recovery that started in quarter four of 2009. It was a feeling of coming out of the recession. It’s not peak recession at a global standpoint," he said, adding below 100 points indicates pessimism. India still ranks at the top when it comes to job prospects, but the index has declined by seven points to 77 during the quarter, he said. This campaign, to be initiated by the bank, is part of its strategy to bring down gross NPAs to 3.5% and net NPAs to 2.5% by March 2013. As on March 31, gross NPAs stood at 4.83% and net NPAs at 3.09%. The focus for this year, says the bank’s chairman & MD M.V. Tanksale, is to reduce both gross and net NPAs. “The high NPA level in the last fiscal was mainly due to slippages, adverse market conditions and also resulted after the bank switched over to core banking. As a result, net NPAs rose from 0.65% in March 2011 to 4.83% in March 2012. 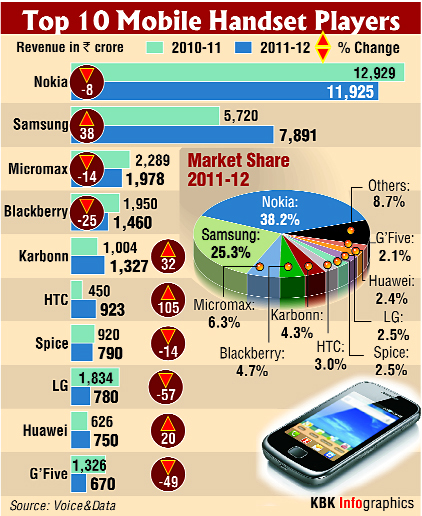 Gross NPAs to gross advances rose to 4.83% in March 2012 as compared to 1.82% in March 2011,” he said. While announcing the bank’s new savings account scheme with a doorstep facility in Chandigarh, Tanksale said the loan recovery campaign in Punjab was sure to lower the high NPAs in agricultural advances in Punjab. “The bank is setting off a loan recovery rath (carriage) that will travel to villages and educate farmers about good credit culture. Special vans will also be used to inform farmers about the bank’s various schemes”. Talking about business growth, he said by focusing on retail, SMEs and rural customers the bank is targeting 13.5% growth in deposits and 17.5% in advances. He said that during this year, the bank is targeting total business of 400,000 crore in the current fiscal as compared to Rs 310,000 lakh crore on March 2012. ‘The growth drivers for the bank will continue to be the retail, agriculture and MSMEs," he added. He said the bank will open 250 new branches by March 2013 including 25 in Punjab, Haryana and Kashmir. The bank is also in the process to open a representative office in Kenya and a full fledged bank in Dubai and Hong Kong. A "pervasively polluted" culture at HSBC Holdings Plc allowed the bank to act as financier to clients seeking to route shadowy funds from the world's most dangerous and secretive corners, including Mexico, Iran, the Cayman Islands, Saudi Arabia and Syria, according to a scathing US Senate report issued on Monday. While the big British bank's problems have been known for nearly a decade, the Senate probe detailed just how sweeping the problems have been, both at the bank and at the Office of the Comptroller of the Currency, a top US bank regulator which the report said failed to properly monitor HSBC. "The culture at HSBC was pervasively polluted for a long time," said Senator Carl Levin, chairman of the US Senate Permanent Subcommittee on Investigations, a Congressional watchdog panel. The report comes at a troubling time for a banking industry reeling from a multi-country probe into the manipulation of global benchmark rates. Last month, rival British bank Barclays Plc agreed to pay a $453 million fine to settle a US-British probe into the rigging of the benchmark interest rate known as the London interbank offered rate, or Libor. The agency notes that in the two decades since 1990, the share of the public sector in GDP growth remained stagnant at 6 percent, whereas private sector GDP growth went up to 7.7% in the 2000s from 5.7% in the previous decade. The bank’s total income stood at Rs.7,818.4 crore, up 29 percent during the quarter under review as compared to Rs.6,049.3 crore in the year-ago period, the private sector lender said in a regulatory filing. However, Axis Bank’s net nonperforming assets increased to 0.31 percent during the quarter from 0.25 percent in the previous quarter. Gross NPAs stood at 1.06 percent as against 0.94 percent sequentially.